Recently, the British Army recognized the powerful capabilities of mobile devices for its compliance training. As modern learners joined its ranks, the army had to enforce changes to its traditional methods of training. Regulatory and compliance training requires a large portion of not only the company’s budget but also the time needed to train learners. Add to this, today’s learners are away from their desks most of the time which means they are hard-pressed for time to attend classroom training. Therefore, it is more urgent than ever to call for a change in the traditional ways of offering compliance training. To accommodate the modern learner’s learning needs – their learning preferences in terms of portability and ease of access to learning material – mobile learning can be used. What advantages does mobile learning have for compliance training? In this blog, we will look at four such benefits that can be brought around by harnessing the power of mobile learning for compliance training. Compliance trainings by nature can be intimidating and frustratingly long for the modern learner. Organizations register lower completion rates all the time because learners are either bored of the content or because they simply do not have the time to fit the training in their tight work schedules. How to tackle this conundrum? Well, modern learners are more partial to learning through mobile devices at their own preferred pace and place. These learners look for self-learning options with the right kind of support, without anyone forcing them to attend classroom training sessions. Devices such as iPads, Android tablets and smartphones are the devices that modern learners are familiar and comfortable with. For compliance training to be fun, yet effective among modern learners, organizations must look to align the requirement to complete the training more closely with their learners’ everyday reality. By going mobile, organizations can enable learners to complete the compulsory compliance training whilst on the move. This makes mobile learning the ideal platform for delivering engaging compliance training content in various different formats as we will learn later in this blog. With M-learning in place, you can structure the compliance training in small sections or modules that fit the learners’ work style. This is often referred to as microlearning – learning in small, digestible modules. Microlearning certainly goes hand in hand with mobile learning because it is about delivering small chunks of content to learners in the form of modules/timely nuggets to top up their knowledge and skill areas continually. Short and engaging 5- to 8-minute microlearning modules can be delivered to their mobile devices in the form of short explainer videos which explicate important instructional content on the key aspects of your code of conduct, how to solve problems when one encounters an issue with respect to ethics, and other lessons on speaking up, anti-bribery, gifts, conflicts of interest and workplace respect. Videos and scenarios depicting compliance issues are a great way to leverage the functionalities of mobile learning. Especially, compliance training has a long-term impact on learners when the content is weaved around a scenario. Scenarios in compliance training prepare learners by presenting them with situations they may encounter at work. Scenarios work even better with small assessments stitched at the end where the learner is provided with feedback regarding what is the right thing to do in a particular situation. Similarly, compliance courses benefit from on-the-go demo videos and visually engaging content. Videos add a level of interactivity and engagement to the content and also help simplify complex topics with the help of visual and auditory elements. Standalone videos on compliance-related content on topics such as Prevention of Sexual Harassment (POSH) can go a long way in teaching the concept in a matter of minutes which would otherwise require hour-long desktop courses. Video-based and scenario-based compliance training learning is easily accessible on mobile devices. It is also possible to make these modules downloadable for offline viewing so that learners employed in remote areas can also enjoy the same, consistent training as their peers. With compliance training, the mandate is to usually focus on meeting the “certificate of completion” rather than ensuring learning that sticks and stays with the learner. To retain the sanctity of the compliance training mandate and not turn it into a frivolous game, the concept of gamification in combination with mobile learning can come handy. Gamification is a strategy to turn boring compliance content into something fun, challenging but at the same time rewarding. Companies can gamify the online compliance training in many ways to make it more engaging for learners, and these gamified courses can be accessed for a synchronous self-directed play on one’s smartphone or tablet. Learners can be rewarded with badges and points for successful completion of a compliance module. Also, one can have gamified quizzes combined with scenarios as part of compliance courses (which are mobile-friendly). Once a learner completes a scenario, they can be presented with an interactive quiz. The questions in the quiz help the learner gain feedback at every step and evaluate their knowledge of the course accordingly. Here, if the learner answers all the quiz questions correctly, he can be awarded a badge. These rewards create a healthy competitive spirit among learners, and they can also be shared on various social networking sites which further motivates your learners. To make things even more useful, learners can be given access to job-aids and resources hosted on a portal or LMS which act as performance support tools. 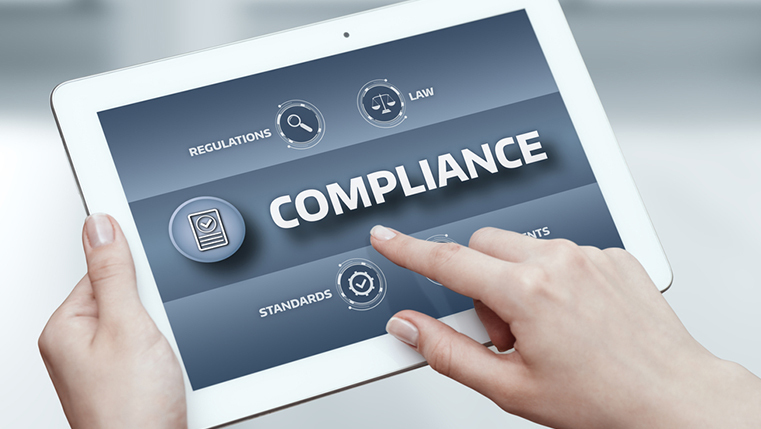 There is no escaping the lengthy and complicated nature of compliance training content, but they are also compulsory to conduct, especially in highly regulated industries such as in insurance, pharmaceutical, health and safety, and manufacturing industries. Mobile learning is instrumental in transferring the huge amount of knowledge associated with compliance courses in small modules on devices modern learners carry with themselves. Combine that with interactive content such as videos, scenarios, and gamification, and compliance training will not be deemed boring again. Can Organizations Benefit from Mobile Learning?